Hello everyone its a great Sunday here at Amaretto Ranch! 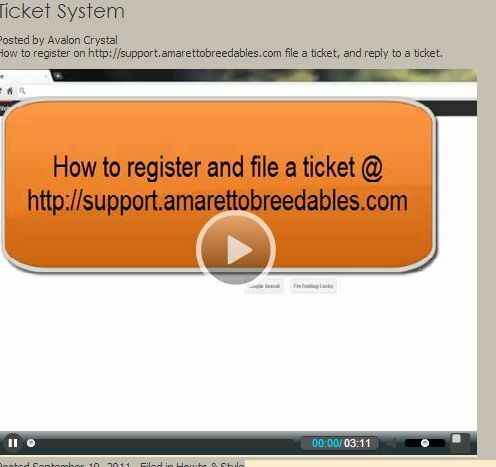 As always Ava here with some helpful hints about your Amaretto Breedables, I have seen a bit a chatter about things being sent to Horse Haven, Puppy Paradise, or Bird Sanctuary by mistake. 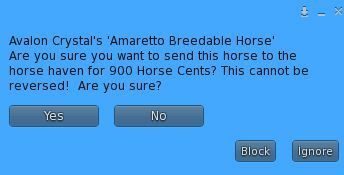 Amaretto has put precautionary measures in place so that you do not accidentally send any Horse to Horse Haven. 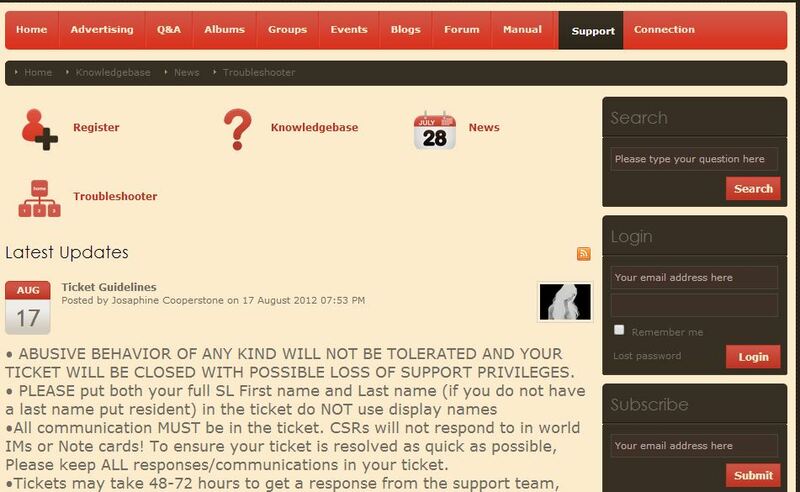 You MUST confirm before anything is sent to Haven, Paradise, or Sanctuary. This means that no horse will be returned to you from Horse Haven accident or not. So please when havening your horses be careful!!! Oppsies, accidents, or I didn’t mean to’s will NOT be returned! So be very careful! This will be me last post until my trip to the pokey! Please remember to come out on Wednesday and support the Amaretto lock up! Until then I am a free bird! This is Ava over and out! 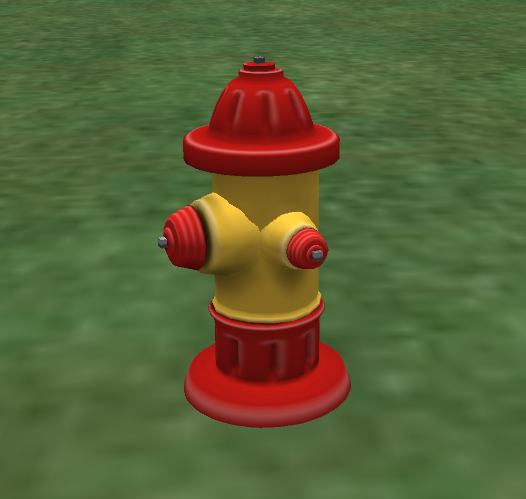 I wanted to touch a little on the K-9 Traits! Any coat that is not a starter coat. All of these traits can be seem on the wiki! 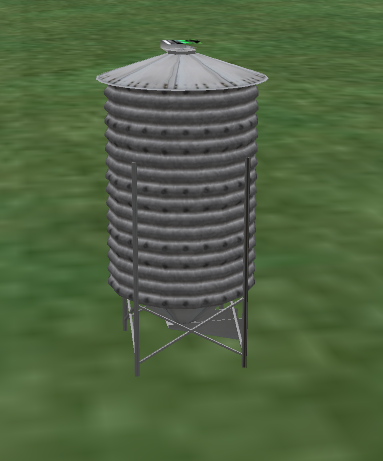 I have included some pictures of the traits. Happy Thursday! We had a great time at the fishing event today, congrats to all the winners! I wanted to talk to you all today about one of the greatest tools that Amaretto offers, the GPS! For the horses – GPS stands for Global Pony Settings and you can pick one up at any of the Amaretto Ranch Breedables Horse store locations. 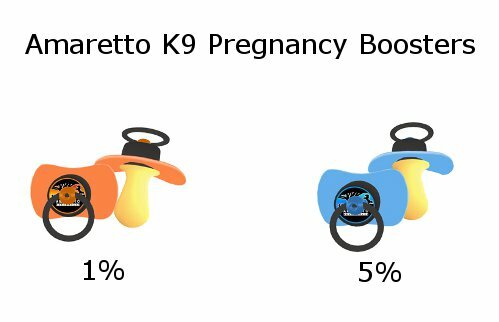 For the K-9’s – GPS.stands for Global Pup Settings and you can get one at all of our Amaretto Ranch Breedables K9 store locations. 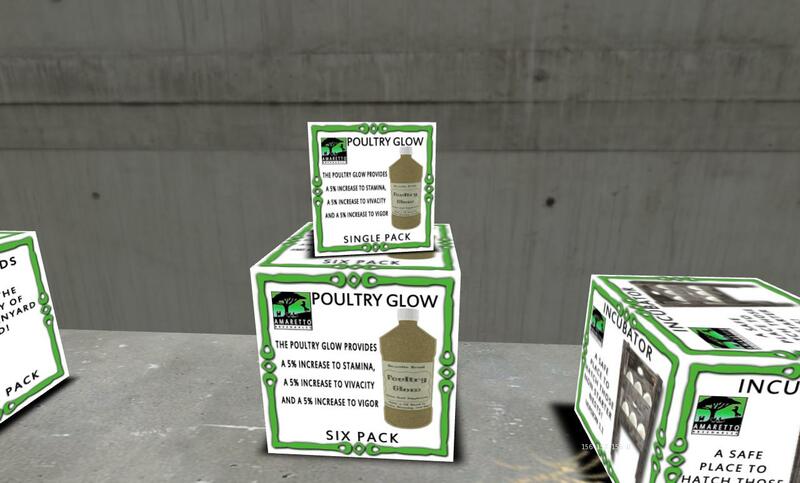 For the Barnyard Birds – GPS.stands for Global Peck’n Sort and this can be found at all Amaretto Ranch Breedables Barnyard Bird store locations. Once you have set all settings to your wants and needs you simply click the Activate button and your settings will then take place! 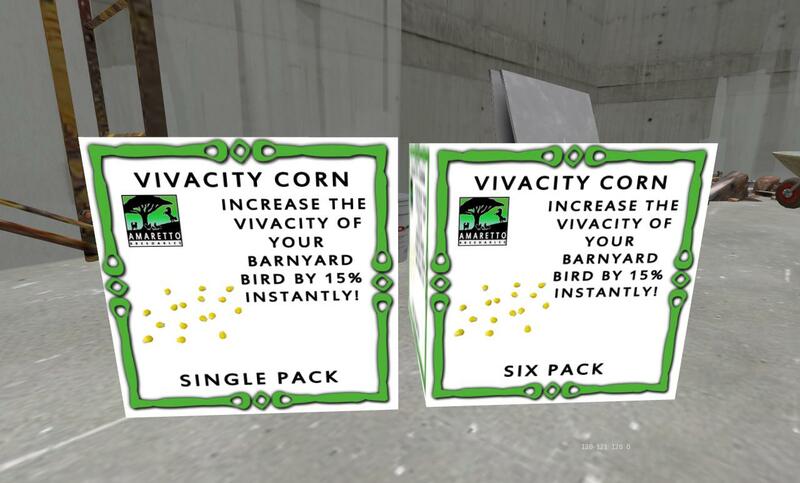 The GPS will apply the settings you choose to all rezzed Horses, K9s, or Barnyard Birds on your sim. The GPS works sim wide. If you have horses, k9s, and birds you must use the breed specific GPS to set their settings. There is not a universal GPS that works on all three breedables. Also, I’d like to mention, if you have special projects that have special settings, please remember this when using the GPS as it does apply the settings to ALL rezzed horses, k9s, and birds. I hope everyone now understands the GPS and how it works. It is a very hand tool! 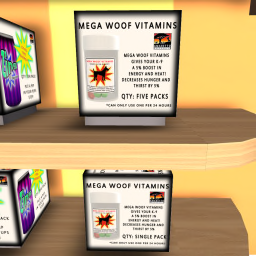 Your breedables enjoy treats and sweets too! You know when you need a quick pick me up or a boost to your energy how good a chocolate candy bar, a soda ,or a cup of coffee makes you feel? How about when you sneak a cookie to eat while you are waiting for dinner? well, your breedables enjoy them too! 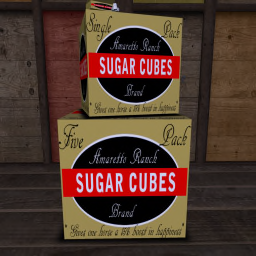 First I am going to talk about the consumables that your horse will enjoy. 1. 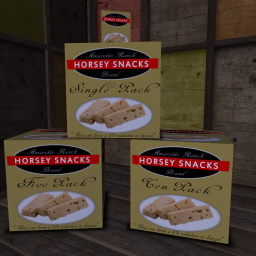 Horsie Snacks. This one time use snack will decrease one of your horse’s nourishment by 10%.. Great to take along with you when you go riding! 3. 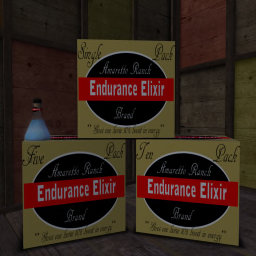 Endurance Elixir is a onetime use elixir that will increase one of your horse’s energy by 10%. just like caffeine, gives them that extra helping burst. 2. 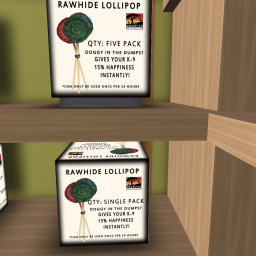 The Rawhide Lollipop is a onetime use consumable that will increase one of your K-9’s happiness by 15% Keeping your k-9s happy is important for them to gain heat. 3. 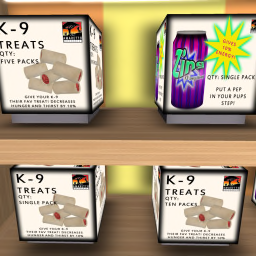 The Zing K-9 Cola is a onetime use consumable that will increase one of your K-9’s energy by 10%, He will be able to enjoy playing fetch longer. Ready to Twist? 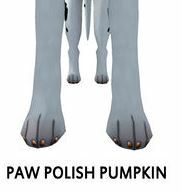 Well this time we are combining the Fell Pony and Painted!! From April 5th 2014 until May 5th 2014 you can breed any color Fell Pony and any color Painted together and you have the chance of discovering a brand new coat designed especially for the Twist called Painted Pony! The Painted Pony coats do have the ability to pass and of course each will also come with a very cool twist eye that can pass as well. So get those Fells and Paints ready for next month and have the chance at some Painted Ponies! 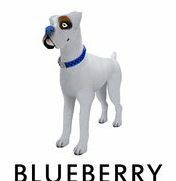 Our K9s want to twist too so from April 5th 2014 until May 5th 2014 If you breed any color Dogue de Bordeaux with any color Jack Russell you have the chance of discovering a brand new coat designed especially for the Twist called Dogue de Jacques! 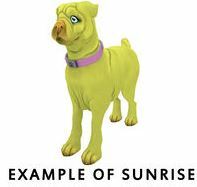 The Dogue de Jacques coats do have the ability to pass and of course each will also come with a very cool twist eye and collar that can pass as well. So just to be clear you need to breed any color Dogue de Bordeaux with any color Jack Russell in order to have a chance at getting one of the brand new Dogue de Jacques! 1. 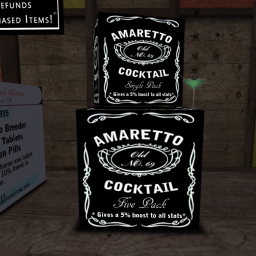 Open boxed Amaretto Brand Horse or Amaretto Brand K9 Pregnancy Booster and rez next to the horse or K9 you wish to boost the pregnancy. 2. 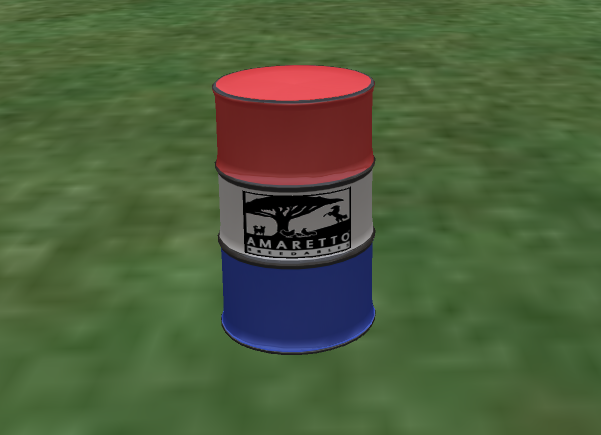 Click the horse or K9 and go to the consumables option on the menu. 3. Find Preg Boost from the options on the menu and click it. 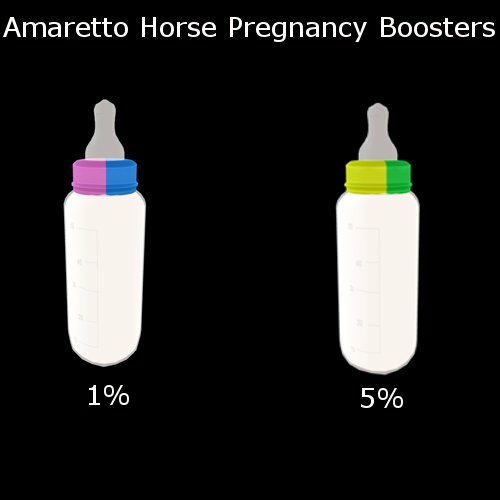 Once the horse’s or K9’s stats have been updated the Amaretto Brand Pregnancy Booster bottle will disappear. Simple as that… buying a pregnancy booster can save you hours of waiting for that wonderful bundle or kennel to drop! So have an awesome time breeding those horses and K9 and I hope you get some wonderful bundles and kennels! Locked up! They wont let me out?! Ive been locked up and they wont let me out?! That’s right the women of Amaretto have been locked up! What am I talking about? Well all in the spirit of a good cause and fun we are locking up the women of Amaretto and we need you guys to post bail! All proceeds from this lock up will go to the RFL vendor! So who are we locking up? So help your favorite Amaretto Staff member out of lock up! The sad thing is until we all get out there will be no one holding the ranch down?! Yes we will be locked up at boomtown until each of our bail is met! The lock up will take place at Boomtown on April 2nd @ 12 PM SLT! This is for a great cause and will be a lot of fun we will play some fun tunes and try to break out together!!! I have to say TY to snookiegirl for the inspiration on this one! Please don’t feed the prisoners or bring any baked goods! We will see you there!! This is Ava over and out! Happy breeding everyone!!! Happy Thursday Everyone! Hope you are all having a great week! Today we had an awesome turn out for the 80’s Arcade Party. We had a blast talking, laughing and dancing to the best hits of the 80’s. We love it when you all come out and join us for these events each month, everyone has such a great time and its fun to meet people in the community. Everyone was so happy dancing and talking today that none of us played any of the games in the Arcade but we sure had a blast with that evil sploder! 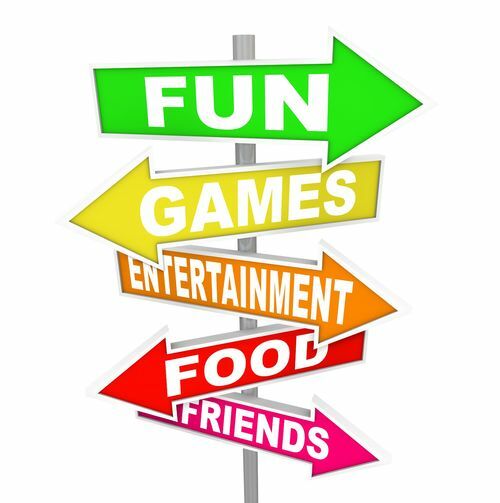 Remember the Amaretto Arcade is always open for you to have fun and play games anytime you want! Oh, and join us tomorrow for Answers with Ava! Until next time, Happy Breeding!!! 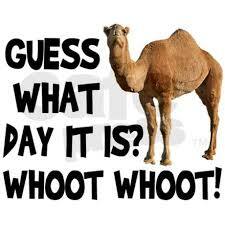 Well today is Hump Day, and looking at the calendar I see three (3) fun filled days in a row starting tomorrow!!! Thursday,March 20th at 11:00 AM (slt) Dakota is hosting the 80’s Arcade. Now you don’t want to miss out on all this fun! There will be lots of games to play, dancing, and cool prizes will be given away to some lucky winners. Friday, March 21th at 5:00 PM (slt) Ava will be having the Answers with Ava Show, and she always has some exciting guest on this show! Saturday, March 22nd at 3:00 PM (slt) AMOC is having a race. What better way to start your weekend.! So come on out and enjoy an afternoon at the races. WE do have a 4 day break before we get to go Fishing with Karrie!! March, 27th at 11:00 AM (slt) get your rods ready for another fun fishing contest with lots of awesome prizes. Occasionally the Amaretto Staff does things on the spur of the moment like fishing or playing Greedy at the arcade. when we do , we send out notices, come join us we always have a great time and lots of laughter! Last but not least, Q&A’s…. It’s not for just when you have a question.. Drop on by and chat with us, we really don’t bite! !